Edwin Cox manages our James River Advisors Gate City location. He works as our financial advisor in Gate City, VA, serving clients in and around Gate City, VA, Kingsport, TN, and the tri-cities area. Edwin works closely with members of our operations team to give a broader look at financial planning. This collaboration between branches allows our Gate City office to advise on other financial topics, like 1031 exchanges, tax matters, trusts, insurance and more. James River Advisors is a Registered Investment Advisor, making us a great fit for individuals and families ranging from early career savers to pre-retirement and retirement clients. Our Gate City office works with clients on a variety of financial planning topics, including: investments, trusts, college planning, retirement planning and tax planning. At all James River Advisors offices, we believe in establishing deep, long-lasting relationships with our clients. Customer service is a priority to us. In fact, we limit the number of clients we serve so we can know and understand our clients better, and make sure each client has access to us whenever needed. Our office is located in Gate City. Gate City is in Southwest Virginia, about ten minutes from the Virginia-Tennessee border. Gate City has a small town feel, with a few local attractions loved by residents, like The Carter Family Fold. Due to our close proximity to the Virginia-Tennessee border, many of our clients come from Gate City, but many also hail from the busier Tri-City area. Our financial advisor in Gate City, VA is conveniently located near major businesses in the area, including ones in Kingsport, TN. Eastman Chemical Company and the Ballad Health Hospital system are within a twenty minute drive of our office. To get to our office from Kingsport, TN: take US-23N for about five miles. Take a slight right onto Kane Street, followed by another right onto E Jackson Street. We are located at 122 East Jackson Street on the righthand side of the road. To get to our office from Johnson City, TN: take I26-W/US-23N for 22 miles. Take a slight right onto Kane Street, followed by another right onto E Jackson Street. We are located at 122 East Jackson Street on the righthand side of the road. To get to our office from Bristol, TN: take US-11W S to Ollis Bowers Hill Road. Then, get onto Bloomingdale Road and take it to TN-93 N and VA-224N. Follow US-421 to Kane Street in Gate City. We are located at 122 East Jackson Street on the righthand side of the road. 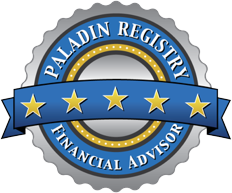 Q: Do I have to be wealthy to work with a financial advisor in Gate City, VA?